This research studies critical success factors that influence the ERP implementation project in a Middle-Eastern country, namely Iran and compares the results with findings in a country in East Asia, namely China. A survey questionnaire was distributed to Iranian organizations with ERP systems. A total of 384 responses were collected and analysed using the Structural Equation Modelling. Findings are then compared, with the enterprises of China, to check for the similarities & differences. 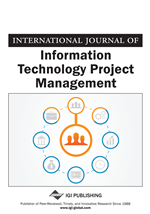 The outcomes showed that ERP implementation success in Iran is influenced by Top Management Support, Project Management Program, Organizational Culture, User Education & Training, ERP User Involvement, ERP User Characteristics, ERP Software Suitability, ERP Information Quality, ERP System Quality, ERP Vendor Quality. The central aim of the current research is to understand the most significant factors of ERP project success that help adopting companies to realize the benefits of ERP implementation. Implementation of an ERP system is a complex process including a great many factors and conditions which can potentially influence successful implementation. These factors might have a positive effect on the ERP implementation project outcome, whereas the lack of these conditions could create trouble through ERP implementation (Dezdar & Ainin, 2011b). In ERP system implementation, CSFs could be recognized as the few key areas where things must go right for the implementation to succeed (Callaghan et al., 2013). The CSF method is an attractive method for researchers and managers because it facilitates the identification and prioritization of critical factors that will possibly affect ERP implementation benefits (Sar & Garg, 2012).